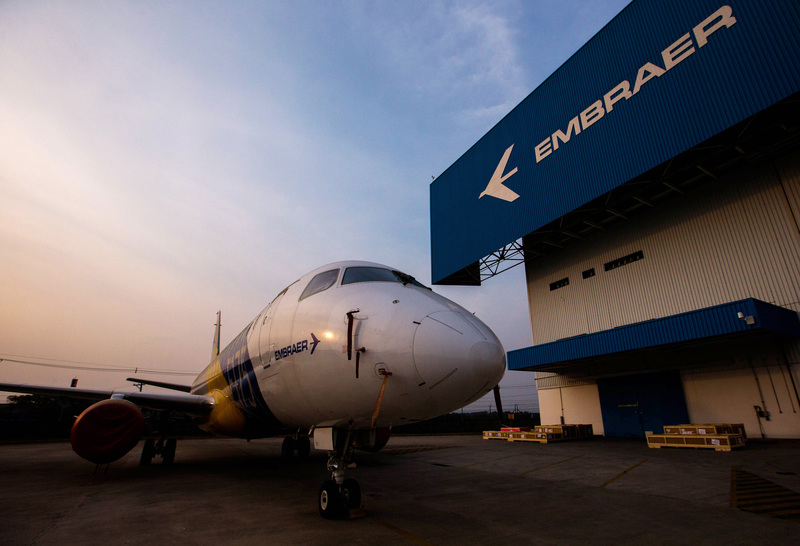 An Embraer E-175 jet sits outside the factory for Embraer's E-Jet family of commercial planes in Sao Jose dos Campos, October 16, 2014. Boeing on Dec. 17 said it had reached agreement on the terms of a strategic partnership with Brazil’s Embraer. The U.S. aerospace company will pay $4.2 billion for an 80 percent stake in the Brazilian outfit’s commercial-airplane business. The two companies have also agreed to form a separate joint venture to develop new markets for Embraer’s KC-390, a military troop-transport and mid-air refueling plane. The Brazilian company will own a 51 percent stake in the venture and Boeing 49 percent.